Parker is the latest in a long line of Jason Statham movies where a problem is presented and he somehow manages to punch, kick, and shoot his way to the end credits. With the added star power of Jennifer Lopez heating up the screen, this is sure to be successful enough to keep the gravy train going for one of the current eras best action stars. After pulling off a successful robbery, Mr. Parker is given an offer to participate in an even bigger heist or lose his share of the current take as well as being eliminated altogether. After realizing the men he has been working with are not the same type of honest crooks as he is, he decides to go his own way. Unfortunately, this involves getting punched, kicked, shot, and left for dead. 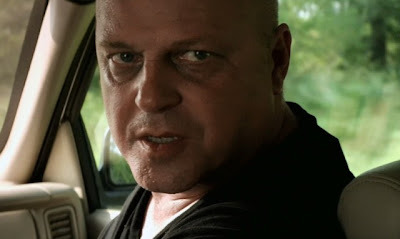 To keep this from becoming a very short movie, Parker doesn't die which allows him to hunt down the bad guy criminals so he can teach them what it means to follow the rules and ethics of being a good guy criminal. Along the way, he meets real estate agent Leslie Rodgers (Lopez) who becomes entangled in the intricate web of stuff that criminals do to each other when they don't get along. What follows is a whole bunch of punching, kicking, shooting, and even some stabbing thrown in for good measure. Parker is a movie that revolves around stealing money. When its all said and done, some viewers may feel like their money has been stolen from them. There really isn't much of a story here and I never really expected any more or less. Stathams' movies tend to be short on plot and heavy on action which is fine, but this go around seemed to lower the bar when it comes to overall production value. Bad editing, bad sound mixing, terrible looking fake blood, and acting performances that are normally seen in lower budget, straight to video fare. This movie actually has a fair amount of potential, but director Taylor Hackford seemed to be not interested at all in making this movie any good which is really odd coming from the guy who made Ray and An Officer and a Gentleman. 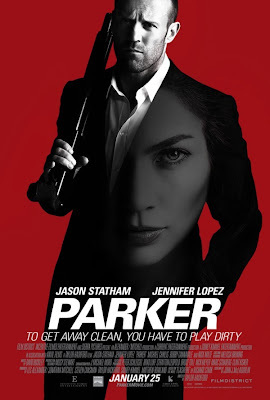 Anyway, Parker still managed to be halfway enjoyable since watching Jason Statham punch, kick, stab, and shoot people is always good fun, but this time it just wasn't enough to save a movie that didn't have anything else at all to offer. Good review Marc. It's typical Statham, but it's still fun none the less.